The use of evidenced based practice (EBP) in dysphagia management as well as dysphagia evaluation is crucial as with all health care related jobs where patient harm is always a possibility. This is to help clinicians make the safest decisions possible when considering patient care. Evidenced based practice utilizes three components to assure best conclusions on new research and treatment methods. With the use of technology there have been many new treatment methods introduced, some controversial, and older treatments validity lost in the paper trail. 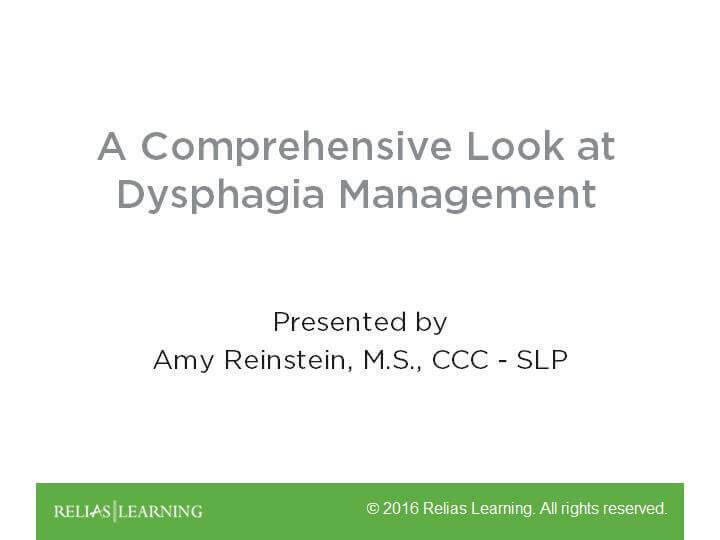 This course will correctly define and identify how to utilize evidence based practice to ensure clinicians make their most informed decisions on dysphagia treatments, new and current. This course will also review all dysphagia treatments that are considered EBP and others thought to be “hot topics” in the dysphagia treatment world. Disclosures: Amy Reinstein MS, CCC-SLP has no relevant financial or nonfinancial relationships to disclose. The target audience for this course is: entry level Speech and Language Pathologists; intermediate level Dietitians; in the following settings: All Healthcare Settings.